Do You (Unknowingly) Sabotage Your Success Time and Time Again? 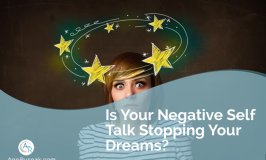 Do you lay awake at night, tossing and turning, wondering why you're not easily attracting your ideal clients, no matter what you do? Did your dream to upleaval you business get stuck on the way getting there? Tired of others who know less than you and don't work as hard make money easier than you? One of the sneakiest, often subconscious barriers to success, especially for women, is the challenge of identifying and resolving repetitive self-sabotaging behaviors. Self-sabotage puts an invisible barrier between you and the success you desire. As a business owner, you may feel that no matter how hard you work, you have little to show for your efforts. Every time you take a few steps forward you are propelled backward by another new tidal wave of challenges and obstacles. And when you look at your history, you can document how this has happened repeatedly. That's when the self-doubt takes over and your confidence begins to plummet and fear starts to kick in. You find yourself asking,"Why is it that everything I've tried leaves me feeling overwhelmed, frustrated and stuck? I just don't know what to try next to turn this thing around!" Isn't time to move beyond your doubts and frustrations to enrich your life with a formula for success? 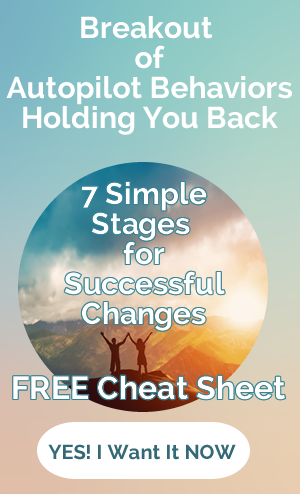 Imagine finally discovering what's holding you back and identify, once and for all, which triggers are keeping you from realizing your dreams! 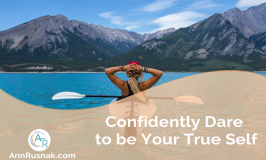 The Unstoppable Success System was created to help women like you, conquer indecision and take action to find the confidence you need to achieve your goals. 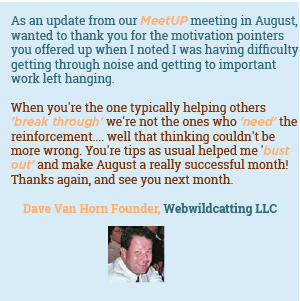 Discover how you can go from Stuck to Unstoppable Success with a complimentary 20 minute, no strings attatched... "Stuck to Unstoppable Breakthrough Session". "While I've been working on this program with Ann, I've noticed I feel much more positive. It's given me validation that I'm on the right path."